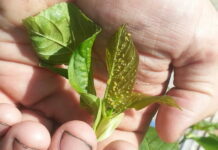 Developing tolerance of Kratom is possible when used over time. This scenario is normal, yet equally sad to people who have benefited from the natural herb’s wonders and have accepted it as a part of their lifestyle. However, there are actually rules you can follow to prevent this from happening and it is important to understand these rules. This include changing dosage methodically, keeping away from extracts with high concentration and refraining from using it frequently. This way, you can maintain your body’s sensitivity to Kratom’s effects and ensure that everytime you use Kratom, it will work as intended. In time, this can also save you some money and will prevent any side effects from happening. How Quickly Does Kratom Tolerance Develop? All forms of tolerance, be it from medicines, substance and in this case a herbal remedy, begin pretty much in the same manner. Previously used dosage to achieve the intended effects starts to lose its potency slowly. In time, the original dosage will no longer have any effect and then you will have to unwillingly increase your intake to produce the same effects again. This unusually large amount of dosage can be toxic to your body and might develop into a more serious health issues, as your body tries to remove the excess elements in order to return to its normal state. Aside from this, excessive use of Kratom might also progress into dependency, as your body will now expect this amount dosage, and worse might even demand it. As the old adage says, “prevention is better than cure.” Thus, before it happens, it is best to slowly cut-down on your consumption, and continue to enjoy the many benefits of Kratom without any worry. That said, the development of this tolerance varies from one person to another. Your dosage of about 3 to 5 grams a week may not develop any tolerance, while the other person’s use of the same dosage and frequency might. This is where the importance of monitoring and responsibility come into play. You should be able to interpret the common signs from your body so that you will know if you are still within the boundaries of safe-use. There is no better indication of this other than the understanding of your own body’s reactions. How To Avoid Kratom Tolerance? Stagnant Strain Syndrome is a condition that is commonly referred to as a form of Kratom tolerance. This happens when a user consumes the same strain and dosage of Kratom over time. Gradually, as your body and mind grow accustomed to this specific type of Kratom in the same amount of dosage, the reactions you would expect is no longer the same. In order to fix this, you should try to change your routine as often as possible. 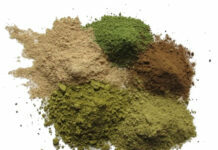 Mix up the type and dosage of Kratom you consume. That way, your body will not develop any familiarity that will, in time, progress into tolerance. Moreover, your Kratom consumption should not also go over twice a week, two days in a row or more than once every three days. You should never also use opiates and Kratom at the same time. Opiates are known to be habit-forming, which, in turn will build tolerance over time. If Kratom is used along with those, it should not be a surprise if your body will also develop tolerance to it also. Kratom is known to provide the same “high” feeling that opiates do without any damaging side effects, which is why using Kratom and Kratom alone, makes more sense. You are also encouraged to keep a record of your experiences in every usage. You can make a list of the type of Kratom you used, the dosage, the date and the effects you felt. This way, you can be more mindful of your usage and can make an adjustment if you experienced some side effects upon using it. This can prove to be a valuable practice that every Kratom user must do, in order to be more responsible and continue to enjoy the benefits this natural herb, worry-free. How To Get Rid of Kratom Tolerance? One you detected that what was once a potent dosage of Kratom was no longer giving you the same effects as before, or a particular dosage that you have been using now elicits some minor side effects, then your body probably had developed a Kratom tolerance. The best way to cure it is actually not taking another medicine or changing Kratom type or dosage. The best cure to Kratom tolerance is abstinence. By taking a break from Kratom use, your body will be able to fully clean itself from excess Kratom and then reset. Regarding as to how long the break will be is entirely up to you. If you feel that your body has fully recovered and that any side effects are now gone, you may resume from using Kratom. However, it is important to look back on what happened, find the cause and then make an adjustment. This time practice a more responsible use of Kratom and remember to apply the rules previously discussed. Kratom, in its basic form, is safe, non-addictive and not habit-forming as long as you stay responsible and be conscious about your body’s reactions. Kratom tolerance is nothing but a tiny bump in what otherwise should be a smooth sail of experiencing Kratom’s natural benefits. This bump can easily be fixed by being a more responsible and mindful user. A bit of prudence will not hurt also. Next articleUsing Kratom for Weight Loss: Is it Safe and Effective?